What is the Perinatal Mortality Review? Every month, a committee of doctors, nurses, public health and mental health professionals volunteer to meet to review infant and maternal deaths. The goal is prevention of such deaths by improving systems of care. This review process has been in place in Utah since 1995. 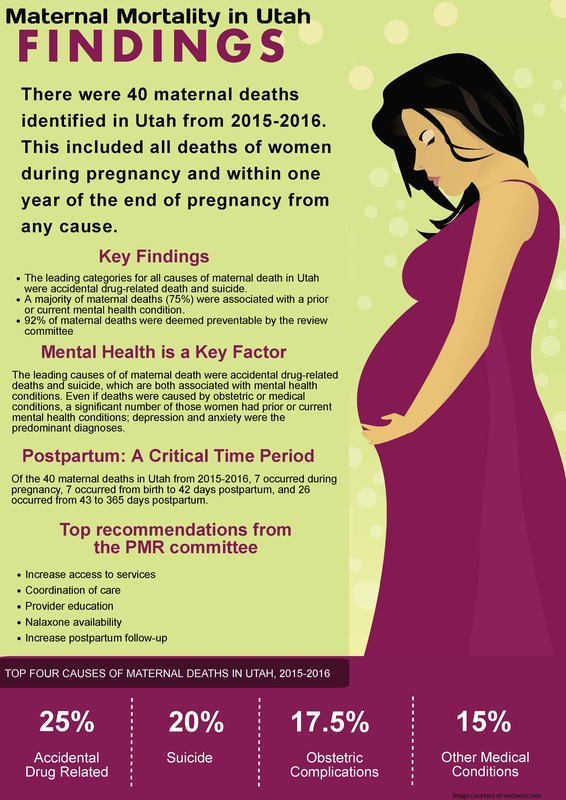 The Perinatal Mortality Review committee’s vision is to eliminate preventable infant and maternal deaths in Utah. What is an infant death? An infant death is the death of an infant before their first birthday. What is a maternal death? A maternal death is the death of a woman during pregnancy or within one year of the end of pregnancy. Information is gathered from death certificates, birth certificates, medical records, autopsy reports, and other pertinent resources. Records are abstracted by a trained abstractor, who prepares de-identified case narratives for review by a committee of experts from diverse disciplines. If pregnancy-related, what was the underlying cause of death? If there were chances to alter the outcome, what were they? What were the contributing factors to the death? What specific and feasible recommendations for actions should be taken to prevent future deaths? The committee’s findings and recommendations are prioritized and disseminated to a broad array of individuals, organizations, and the public. Click here for the full July 2018 PMR Update. The infant death rate is an important measure of a nation’s health and a worldwide indicator of health status and social well-being. It is a critical indicator of the health of a population. As this graph shows, 69% of all infant deaths in the U.S. were attributed to the 10 leading causes. 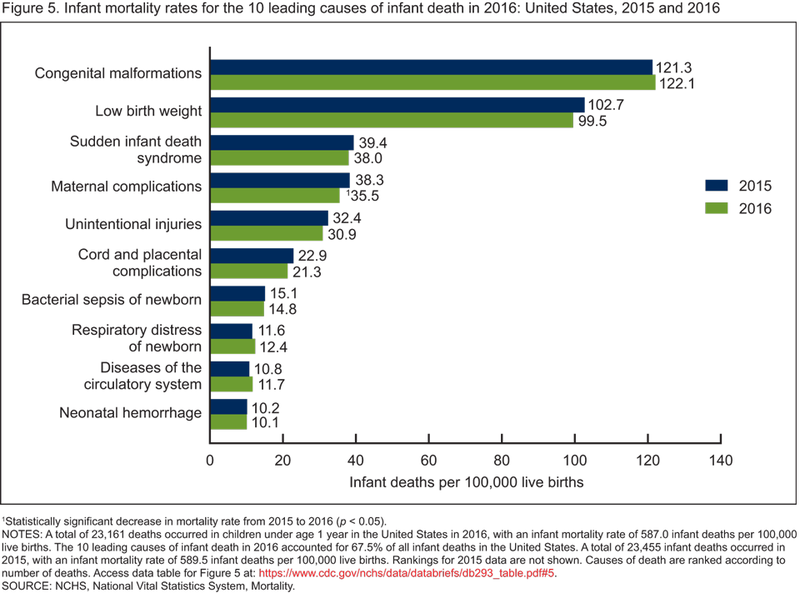 The top 2 causes, congenital malformations and low birth weight, accounted for about 38% of all infant deaths in the U.S.